We were going to make a hat joke, but we couldn't think of one off the top of our heads... But seriously, get in on the fun and a chance to win these Cowboy Hat tees and flags. Compete now in CC Event #55 through Fri, 9/8 for your chance to win in-game rewards, including these virtual tee markers and flags. 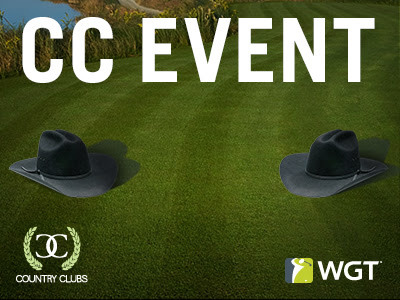 CC Event #55 runs 9/7-9/8 with multiple 4-hour Clashes, so be sure to play as many games as you can for your club and keep your eyes on the leaderboard. We here at VOTSCC enjoyed our CLASH with your CC in CLASH # 55. "Thank you from Tianium Bunkers!!" I just saw your wall post on my profile! Really appreciate the kind words! from Titanium Bunkers CC to your Club we enjoyed the Turf War and on a separate note we have not heard a cross word in playing any of your Members. When playing a Club Member of yours I am always greeted with a nice gesture and great sportsmanship. I have no doubt that we will be battling again!